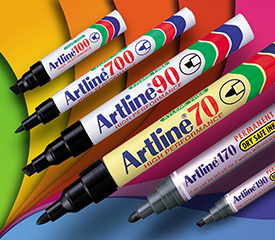 The Artline Collection offers a multitude of markers and pens to suit any need. From our quality industrial markers to our full line of white board markers to specialty markers, such as the garden or grout markers. There is a solution for just about any unique marking situation or environment.